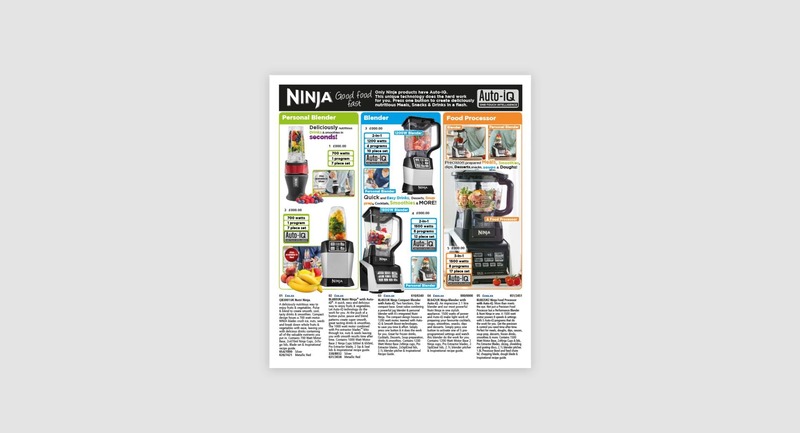 Shark Ninja approached us to finish designing their bespoke catalogue page design after seeing our previous work on a similar project. 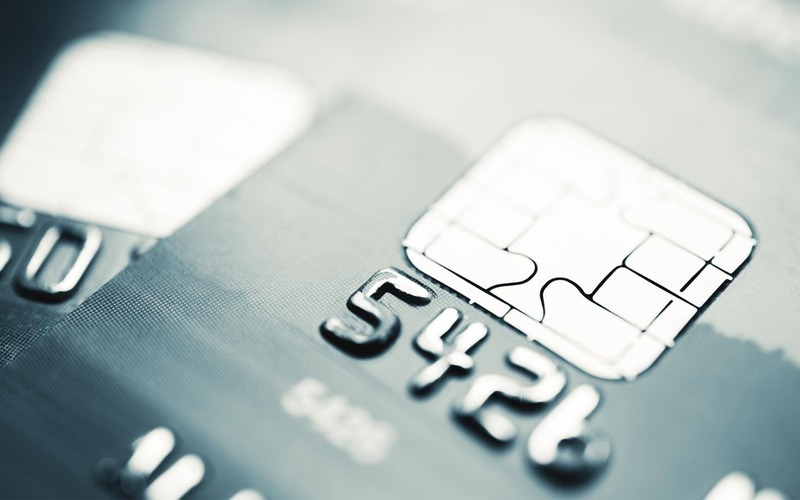 With extremely tight deadlines and high attention to detail, Shark Ninja was a challenging project to take on, but here at TFA we like a challenge and are confident in our ability to deliver. 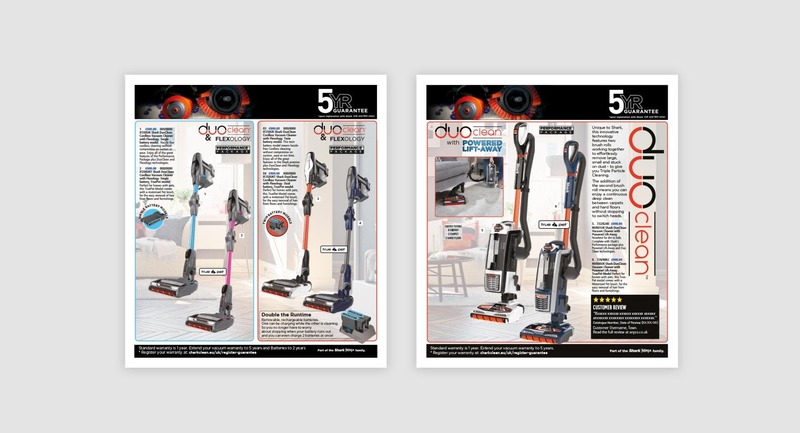 Argos have strict guidelines which need to be followed when you do a custom catalogue page design and this had to be fused with Shark Ninja's guidelines also. 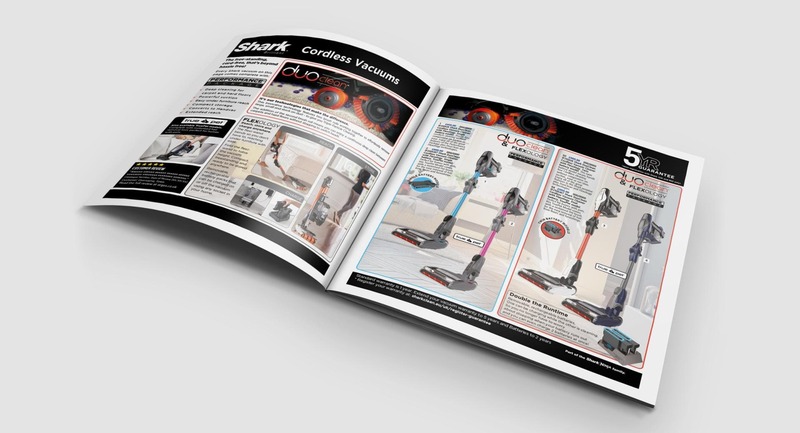 Creating a catalogue page design which maximised on making a showpiece visually of the products to their best advantage whilst communicating the sales messages Shark Ninja wished to get across. 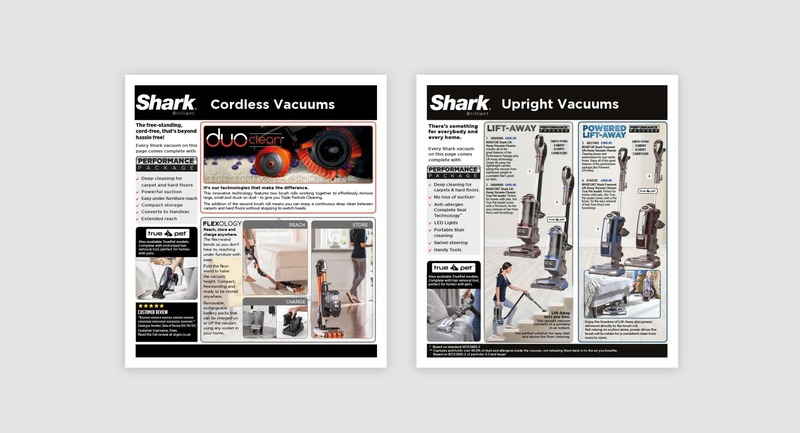 The finished catalogue design was powerful and on brand, and met with the approval of both Shark Ninja and Argos. We pulled out all the stops and in a very short space of time delivered a number of concepts for Shark Ninja. We then developed the chosen ones into a finished design that met Argos and Shark Ninja's specifications. 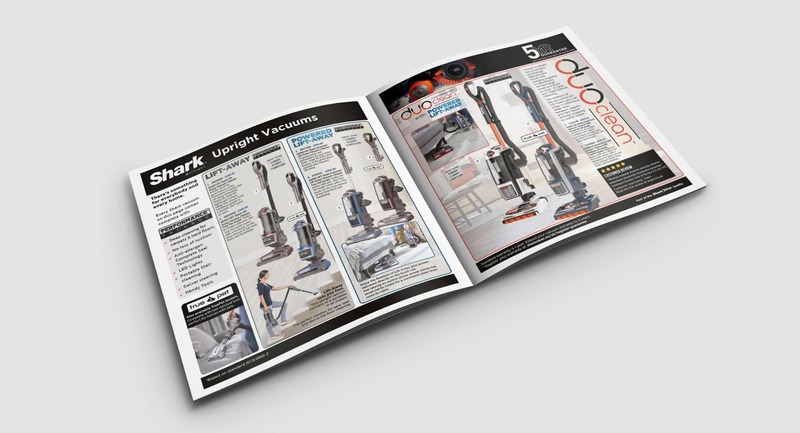 Our team here worked tirelessly with precise attention to detail to meet the expectations of our client and we worked directly with Argos to set the pages up ready for print and supply. 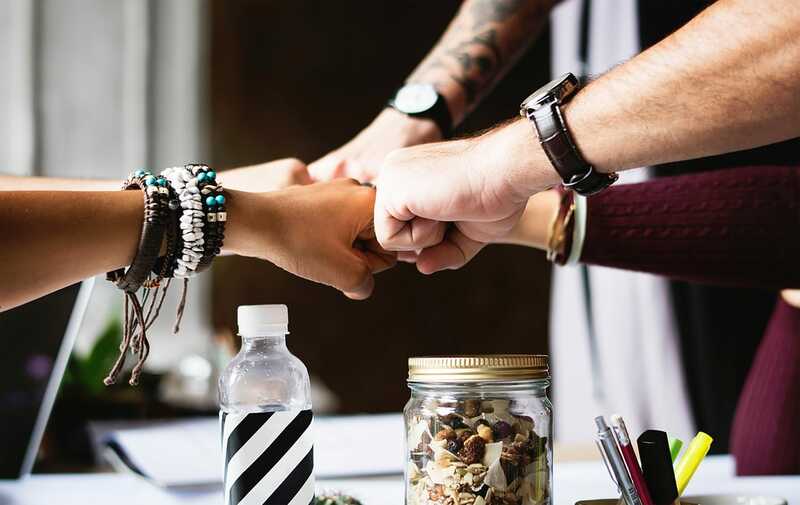 Looking for a creative agency to design compelling new catalogue pages that are on-brand but that stand out? Then give us a call or drop us an e-mail. we'd love to hear from you.